Mike Frerichs, State Treasurer and Susana Mendoza, Comptroller Say "Thanks!" Yesterday, I filed my petitions to seek re-election as Illinois State Treasurer. Comptroller Susana Mendoza and I worked together to make sure we have strong fiscal watchdogs in our state. 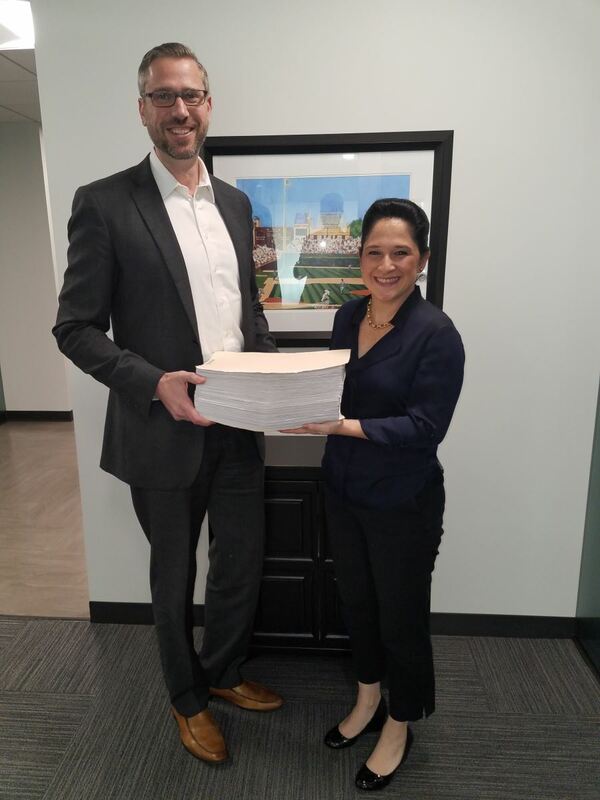 We filed the maximum 10,000 signatures and collected over 20,000 from across the state with the help of volunteers, local elected officials, friends in labor, and Democratic County organizations. Serving as your State Treasurer is an honor. Together, we have made saving for college more affordable for Illinois families, took on the life insurance lobby to pass the Illinois Life Insurance Reform Act to get beneficiaries the money they are owed, and brought 15 states together in an Illinois-led coalition to create the ABLE program allowing families to save for their child with a blindness or disability without risking their disability benefits. I look forward to another opportunity to be the State Treasurer of Illinois to continue our work to protect consumers, bring more job opportunities to the state, and help improve the lives of working families across Illinois. I want to thank the hundreds of volunteers who spent countless hours passing petitions to give us this opportunity.